A reminder about the new feature added this week. You can now leave a comment on any link or resources shared on MathsLinks and MathsFaculty. The comment might be a teaching idea or a review of the resource. Sydney, Australia, based teachers put Thursday 1st August 2013 in your diary for the TeachMeet Australian Curriculum Maths. Lots of additions to the Downloadable Essentials section on MathsKit this week. Including: A page of table of values and coordinate grids, pages of number lines, some more pie charts and trigonometric graphs, blank, degrees and radians. Downloadable Essentials is a new section on MathsKit. In meeting the purpose of MathsKit, quick links to resources for Maths teachers, there are free downloads of graph paper and lots of grid images. 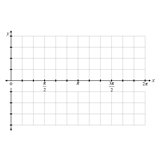 There are lots of sites offering free graph/grid paper, but not so many providing high quality grid images with the specific purpose of using them in a worksheet or exam create in Word (or other program). Please suggest other files that should be available, I will gradually make and add. Try out the Word Search on MathsStarters. There are only three versions at the moment (although the placement of the letters is different each time you play the game). If you’d like to add a game, just send me a comma-separated list of words and a title for you game. For teachers in NSW, Australia, my current aim is to make a word search for each topic in the NSW General Mathematics syllabus. Also, I’ve added the search functionality back on this blog. Today, MathsStarters Quick Quiz got an update with several additional quizzes. Bingo got a new game, ‘Writing Rates’. For the new year, the sites have a new look and functionality, feedback is welcomed. If you haven’t visited the site recently, there is a new look across MathsLinks, MathsFaculty, MathsKit and MathsClass. The redesign is still a work in progress, and the main aim is to make it easier to use MathsLinks and MathsFaculty. Some seasonal links this week, enjoy the break. Merry Christmas. Keep an eye out for new look sites soon. Yesterday, I announced that I added a Maths Bingo game to MathsStarters. Since then, I’ve added Expansion (algebraic) and Unit conversion games. First up, a visual refresh to MathsKit. I hope it’s easier to find the best resources in each category. A more obvious menu and each category is initially limited to 5 links with a click to show more. What gets in the top five depends on “recommends” a link has received. On MathsLinks, I tweaked the NSW K-10 Mathematics Syllabus page to include Early Stage 1 and Stage 1 outcomes. I’ve also brought all the outcomes onto that page in hopefully a easy to use way. Recently my online focus has shifted to my network of sites. This network is about making the essentials for maths teaching easier to find and more accessible. MathsKit is a page of all those everyday resources. MathsLinks now has over 500 online activites for maths, all categorised. My new site, MathsFaculty is for maths teachers to share. I suspect that everyday, teachers waste time searching for, and if they don’t find, creating resources. Let’s fix that by sharing. Each week, I’m going to use this blog to summarise what has been added across these sites. * “This Week” is more like “recently” for this first review. For a while, I’ve been developing a new look for this site and working out how to better connect my maths sites. I recently created a site called MathsKit. Whilst I added some links to it on this site, I haven’t actually mentioned it yet.